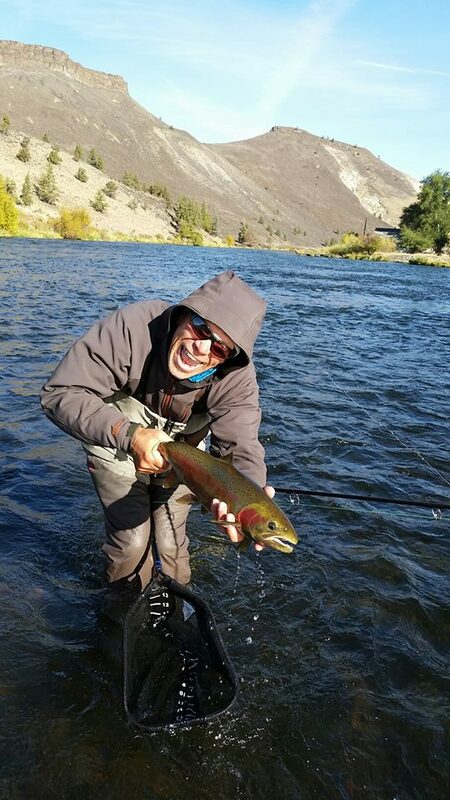 The Crooked River is one of the state’s most popular spots. 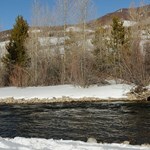 This small stream is known as a year round fishery and most of the time it lives up to that designation. 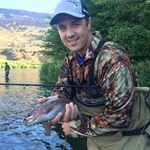 It has the most prolific trout population of any stream in Central Oregon and lives up to it’s reputation as a very good fishery. 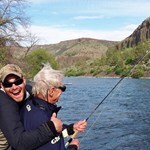 A short journey, just a 1-hour drive east of Bend, will take you to a very special place – the Crooked River tailwater. 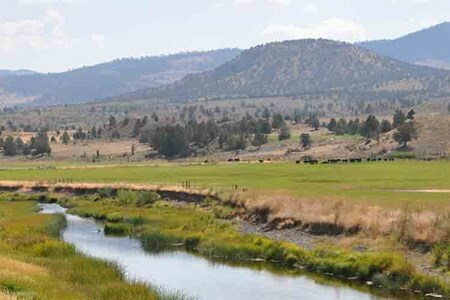 Beginning at the meeting of the South Fork Crooked River and ... moreBeaver Creek, the river flows beneath the shadows of the Ochoco Mountains and Ochoco National Forest, flows into the Prineville Reservoir then turns north gathering several small tributaries before emptying into Lake Billy Chinook. Like other rivers in this area, 18 miles of the Crooked are designated as a National Recreational River. 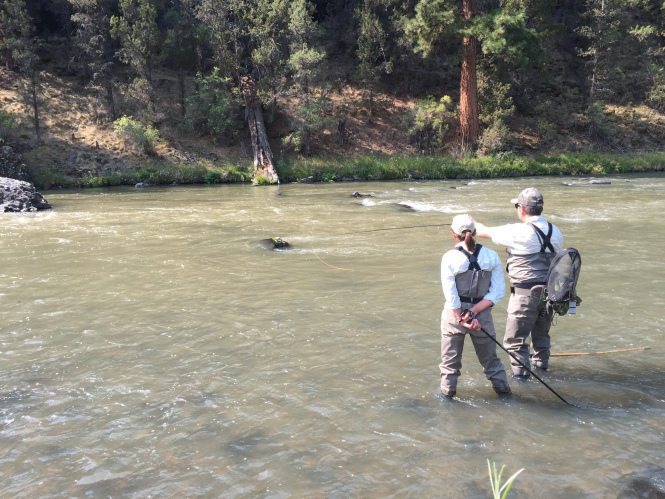 Once home to migrating anadromous Chinook salmon, steelhead trout and Pacific lamprey, the combined forces of dams, irrigation and low water caused those populations to disappear. 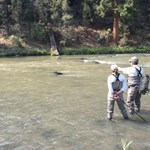 Today the non-migratory, redband trout is the only remaining native species left in the Crooked. 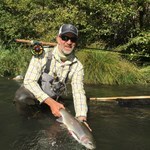 That said, they appear to be thriving and sections of this river are considered by veteran anglers to have the best redband fishing in all of Oregon. 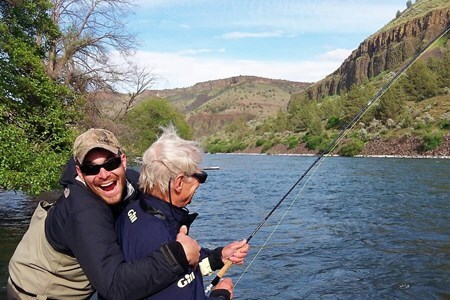 Most anglers consider the 7-mile area below Bowman Dam and the outlet of the Prineville Reservoir, the top place to fish and one of the most productive trout waters in the state. Cool water releases from the dam keep the water at about 50 degrees year round, and fish counts range from 1,000 to 8,000 per mile. 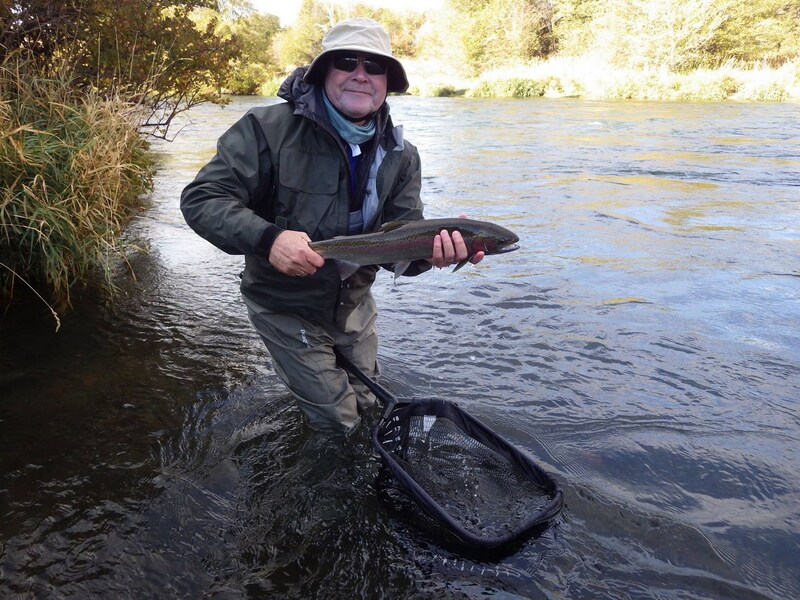 The river, open year round, is managed as a wild trout fishery with catch and release restrictions. The Prineville Reservoir however, supports large populations of rainbow, smallmouth bass, largemouth bass, catfish, crappie and crayfish and can be fished by boat. 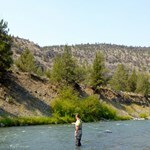 Further downstream at the Crooked River Gorge good fishing can also be found but access is limited. Payment directly with Crooked River Float Trip with The Fly Fisher's Place.